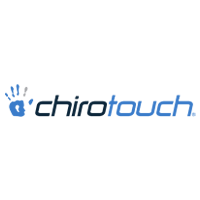 PrognoCIS by Bizmatics is a cloud-based, specialty-specific electronic medical records (EMR) system, billing suite, and practice management solution. It features appointment management, charting, e-prescribing, E/M coding, a patient portal, and more. In this article, we covered user reviews. Ready to try PrognoCIS? Request a demo. Users who gave PrognoCIS a positive review said that the program is easy to learn and use. Many also liked that it is accessible from anywhere with a stable internet connection. Some were also impressed with the customizable specialty-specific templates. 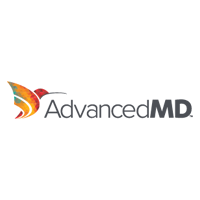 One user who gave PrognoCIS a positive review on Capterra said that the system is straightforward to set up and use. He also likes that he can easily create his own templates and schedules. He also said that there are plenty of customizable features that he can implement to tailor the system to their medical group’s needs. 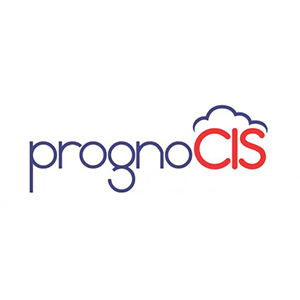 Users who gave PrognoCIS a critical review complained about the quality of customer support. Some reported slow response time, while others said that the representatives don’t speak fluent English and are hard to understand. PrognoCIS doesn’t publish rates on their website. However, according to a third-party website, price starts at $250 per month per user. The software features appointment management, charting, e-prescribing, E/M coding, handwriting and voice recognition, a patient portal, and more. You need to request for a demo to get detailed pricing details. Ready to try PrognoCIS? Request a demo. Yes, PrognoCIS is HIPAA compliant and Meaningful-Use Stage 2 certified. What specialties does PrognoCIS cater to? PrognoCIS caters to a wide range of medical specialties including cardiology, chiropractic, dermatology, family practice, internal medicine, orthopedics, ophthalmology, psychiatry, pediatrics, rheumatology, urology, and more. Interested users can visit the company’s website to view the complete list of medical specialties they service. Information on specific third-party integrations is not readily available on the company’s website. However, PrognoCIS claims that their program can be integrated with third-party applications using their published API. Interested users may contact the company’s support team for more information on their available integrations. Not sure if PrognoCIS is the right fit for you? 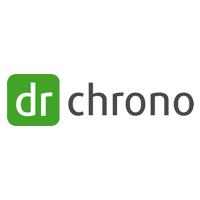 Read our reviews of all top EMR software providers or check out one of these three PrognoCIS alternatives. The customer service was typically satisfactory. They responded quickly and had good communication skills. The scheduling page was built to our satisfaction and was easy to use. Though the customer service responded quickly, the follow through just wasn’t there. We were constantly asking them to fix things or change things. We had a huge problem with the messaging feature of the software. It was impossible to keep track of everything being sent to the medical assistants, which led to many patients not being contacted. We repeatedly reached out to address this issue, but never got a resolution. The billing resources are very difficult to work with. Patients frequently complained about having difficulty getting in touch with them, and we were unable to answer any of their questions. We had dozens of issues with insurance take backs, and problems with incorrect processing of claims. We wish that they had been more clear about the programs initial stages. During the presentation, they showed us a smooth operating system that would save everyone time. What we didn’t know is that it needed to be built from the ground up. We were thrown into a dysfunctional mess that slowed down our patient care to the point of losing money. We were not able to achieve what had been presented to us. They claimed that they could integrate all patient histories into the system from our old EMR, but all they did was upload a PDF for each patient. We constantly had to refer back to our old system to look things up, which took twice as long than it normally would. Prognosis was very customizable to fit our needs of our practice and each doctor was able to build out templates that fit their workflow. The support was hard to understand and get updates on, downtime was very frequent, once we switched to Athena we were opened to a whole set of options that Prognosis could not offer. They were just not as advanced in the industry of EMR’s at the time we were using them.